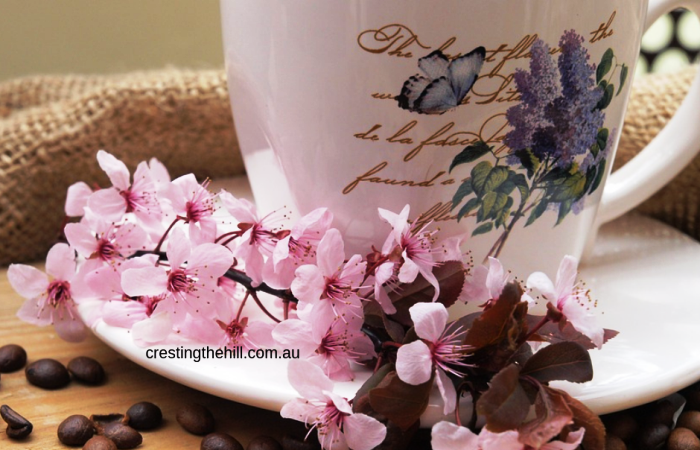 It's time to celebrate the end of November, Summer is on its way down here in Australia - so, why not share a lovely end of Spring virtual cup of coffee with me while I update you on what's been going on in my life lately. I love a good 'Taking Stock' blog post, so I hope you'll humour me and sit a while as I share my news. I'm not sure if you noticed, but this month has been the beginning of a new phase for my blog. I'm now only posting on Mondays + #MLSTL on Wednesdays. It's how I'm intending to go forward into 2019 - but who knows what the future holds - stay tuned! If you haven't subscribed to my blog and would like an email to tell you when a new post is up, please feel free to add your name and email in the box on the side column of my blog. I don't send anything else and I don't bombard people so I'd love you to be part of my blogging family. This month also included the last of my lovely Social Saturday guests: Christin Lee, and Lisa. Thanks to each of them and I've linked their post to their name if you missed any and would like to catch up. After six months of sharing the posts of other wonderful bloggers, this will be the end of my Social Saturday series for now. It was my birthday at the beginning of the month and I received some lovely gifts - a beautiful pot of geraniums from my green-thumbed DIL and our son, a Diamond Dotz picture from my daughter and SIL (see below) and several gifts from my lovely husband. He also surprised me with this box card. I'd sent him a link to a post on how to make them because he is sometimes looking for a creative marketing tool. Instead, he used it to make me a birthday memento and I loved it. If you haven't stumbled across the new Diamond Dotz craze then you aren't looking at TV shopping or Facebook ads! I've seen them here and there but didn't think about them too much until I received one from our daughter for my birthday. It is the ultimate in OCD, fiddly, perfectionist entertainment. I can't tell you how many hours I've spent sticking little coloured "dotz" onto this picture. I have to limit myself time wise to save my neck and eyesight, but it's been a fun challenge. Another birthday gift was a contact juggling ball - I'd seen pictures of people doing contact juggling and my husband saw me admiring a ball in a gift shop. I love how fluid the juggling process is and had pictures in my head of me looking like a pro with my clear ball floating over my hands and through the air. Well! It's been a wake-up call to my lack of co-ordination, but also a great challenge to my brain and learning new ways to move. I have a loooong way to go but I intend to master it - or at least stop dropping the darn ball every 10 seconds! I thought I'd include a pic of my OOTM (Outfit of the Month) - this was something that I bought on sale at Millers for my birthday because I loved the colours and the floatiness of the top. 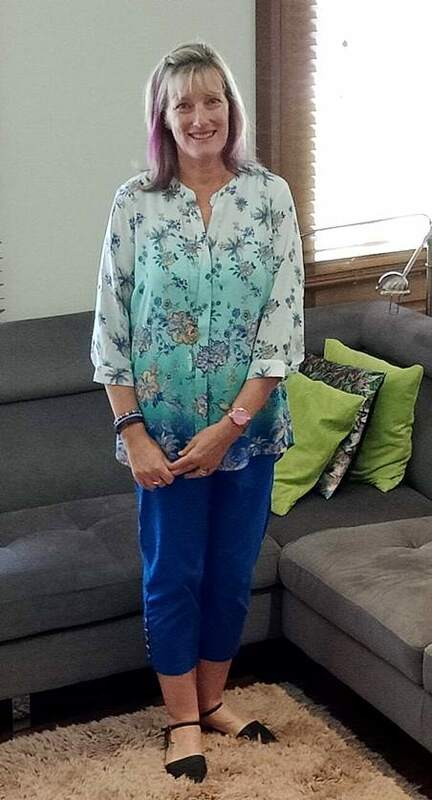 The pants were a great match and super comfortable - and my favourite length. 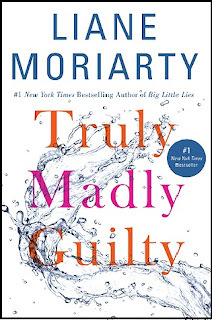 I've been reading another couple of Liane Moriarty books - the first was "The Husband's Secret" and I'm fascinated with her characters - there's always someone I recognize when I read her novels. I won't delve into who I was reminded of in this one but it was spot on. I then progressed to Truly, Madly, Guilty, but didn't love this one as much as the others I've read - it seemed to drag a little IMHO. Is there anything interesting happening in your world? Feel free to update me in the comments. I'm hoping to find time at the end December for another virtual cuppa - we'll have been on holidays, enjoyed Christmas, and so much more - I'm sure there'll be lots to chat about. Happy Belated Birthday, Leanne - It looks like you received many well-thought-out and creative presents (and that you have wonderful and caring family and friends). Enjoy your upcoming summer. It is cold and WET here on Vancouver Island! It was a fun group of presents Donna - a little bit of everything and lots of variety. It was nice to see things that were interesting and/or pretty - and I felt the love! I've been unintentionally light in the blogosphere this month, due to NaNoWriMo. I reached the set goal of 50,000 words yesterday! But there's a lot more to go, so I'll still be writing for a while. Enjoy all your free time, and Happy Birthday! My schedules are as usual shuttling between work and home. But my wife and I are taking a week's break from day after tomorrow. 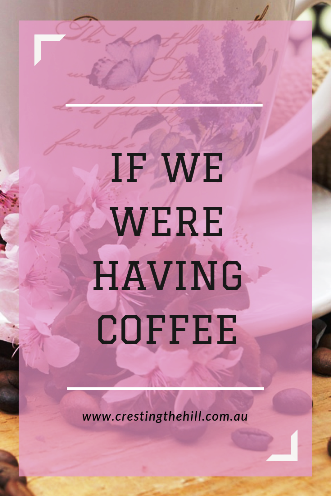 When I opened your blog post I truly went 'Oh Good, it's share a cup!' Sounds like you had a great month for your Birthday. Love the outfit.Liane's newest I haven't read yet but it is on my list as is Bohemian Rhapsody. Although November is my least favorite month of the year, it is dark, cold, wet, I am bucking up now that it is almost over. Not that I am a big fan of December either for the same reasons but all the Christmas lights brighten up the darkness. Happy belated birthday to you! Sounds like your birthday was the greatest... I LOVE that card! And now I want one of those balls. I first remember seeing contact juggling in the movie Labyrinth too many years ago to mention and was fascinated by it then. It just looks magical! Happy soon-to-be-summer! We're starting into darkest winter. Yikes! Apparently contact juggling was first 'invented' to give David Bowie something cool to do in Labrynth Diane - so you were ahead of your time to notice it and now it's catching up with you. You'll have to ask for one for Christmas - they're all over ebay and quite inexpensive. You can see if your co-ordination is better than mine's turned out to be! Happy belated birthday! It was fun to read all that you've got going on. I think those diamond pictures would drive me nuts, but I have wanted to see the Queen movie! That box gift is about the sweetest thing I've ever seen. You've got a great hubby! And so creative. Love it. Happy belated birthday. I love that floaty top. Here's a few confessions: I've never heard of diamond dotz, never read any Liane Moriarty, and still haven't seen Boh-Rap (as the cool kids are calling it). As always, thanks for the cuppa! Well Jo - I am amazed you haven't heard of Liane Moriarty and her Big Little Lies book that Nicole Kidman made famous! Diamond Dotz are probably not something you want to know about - unless you want to speed up the deterioration of your eyesight - and by not seeing Boh-Rap you are spared the sight of Freddie's overbite! While I'm having a cold, autumn birthday in New England (usually freezing rain is involved) you were having a wonderful spring birthday. I hope you enjoyed it. And you've just introduced me to two new things. I've never heard of Diamond Dotz and Contact juggling. I think my husband's getting a great big hint about a contact juggling ball for my Christmas present. I love the ball Jennifer - it is just so pretty and feels lovely - even if I never quite get the hang of "juggling" I'll still have enjoyed the journey. Sorry you get stuck with an Autumn birthday - if it's any consolation, it's the first time it hasn't rained on my birthday in the last few years! Oh my goodness, Leanne!! You certainly didn't take any down time for your birthday! and many belated and happy wishes to you! I've never heard of Diamond Dotz or contact juggling... but now that I've mentioned it here maybe Google will treat me to the ads!! It sounds like a wonderful month and a great precursor of the coming year! Again, Happy Birthday! Thanks for the birthday wishes Agnes - we have a shopping channel in Australia that I tend to flick over to at comercial breaks when I watch TV (which is rare these days) They have Diamond Dotz on it regularly - there are some huge pictures you can do - and they would just kill me I'm sure. The small one was a nice intro though. Hi Leanne, it was nice to have this little catch up all in one place. I have been missing for a few weeks because of being so busy and traveling abroad and so it is nice to be back for a week before I head to Mexico for my daughter's wedding this weekend. I love the photo of you in the new outfit- I love the smile and the clothes suit you. You look very happy! 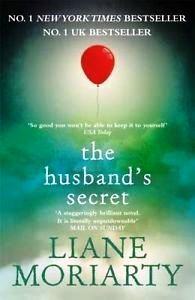 Just curious do you recommend The Husband's Secret for a book club? I found it quite interesting to see how we attribute characteristics to someone when we start to doubt or lose trust. Also how easy it is to concoct an entire belief system around the perceived guilt of another person. Yes, I think it could make for some great discussion. Thanks for another great link up, Leanne. 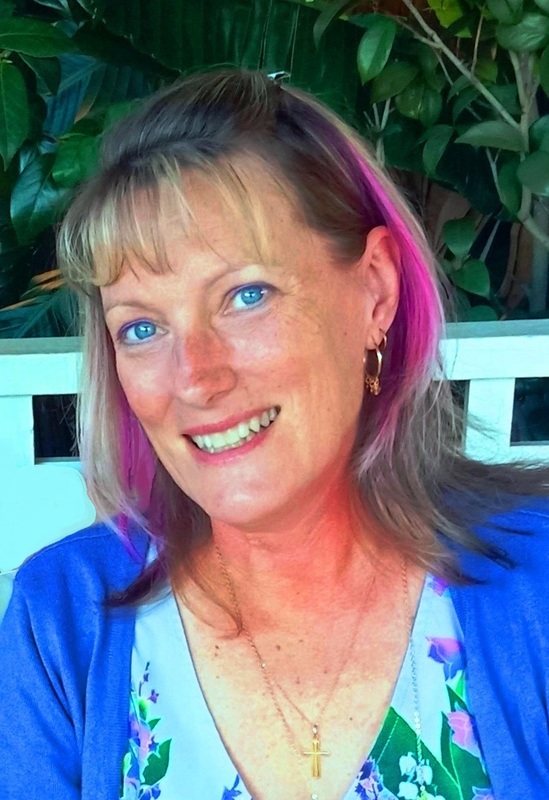 Thanks Donna - I love the links we get at our party every week - so many interesting Midlife bloggers out there! Happy birthday for tomorrow Denyse! And yes, Mandelas and Diamond Dotz would have a lot in common - in that they are ordered, but also creative - and look better and better as they come together towards the end. Happy Birthday, Leanne! 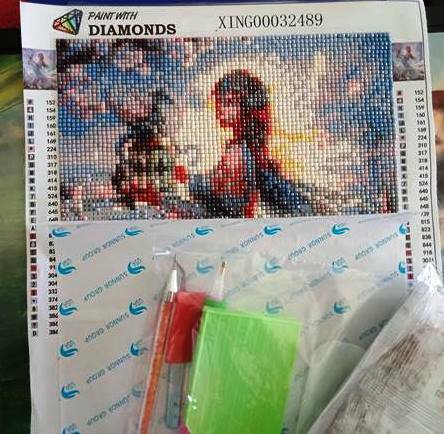 The Diamond Dots look fun, perfect for the long Christmas / New Year break. Yes, I killed many a long hour sticking on my Dotz SSG - nice to reach the end though! Sounds like a great month Leanne - thanks for sharing. It was Janet - birthdays always add a lovely twist to things - new stuff to play with as well. You're so right Leanne - the little things are great because they show thoughtfulness without breaking the budget - perfect fit for me! Happiest of birthdays Leanne! I love that card...it's so amazing! And your outfit is perfect for a great gift to yourself. I haven't heard of that diamond dotzing, and that's a good thing. I get WAY too involved in things like that....LOL!! I've not been a huge fan of Moriarty's books but I like that you mention recognising people in the characters as it's true - there's almost always a pretty big cast and there is something (someone) for everyone. Even in her latest there were a few almost-stereotypes, but people you could envision / envisage. I've read 3 of her books now Deb and I think that will be my limit - especially when the third didn't overly interest me. And good luck with any blog changes you decide to make - it's a tricky thing working out what to keep and what to change. I've morphed mine slightly in a direction that I think looks more "cohesive" and reducing my posts has also been a pleasant change. I've heard great reviews of Bohemian Rhapsody. I hope I have a chance to see it before it leaves the theater. Your scaled back blogging routine sounds perfect. Congratulations on doing what feels right. Lining all those little dotz up does do my OCD head in a bit Molly - fortunately the picture was small enough to finish before I started to go cross-eyed!